Pricing is not an exact science, but there are some formulas and guidelines you can refer to when setting a price for your book. One element of your price is the cost of production. But remember that you are not selling paper, you are selling the information or experience readers receive when they read your book. Consider how you will sell the book, and what your marketing expenses will be. What discounts will you have to offer? Or choose to offer? How much do other books in your genre sell for? What is the perceived value of the information and the package it is in? Pricing products and services involves much more art than science. There are so many variables to pricing that there can’t be a magic formula telling you exactly how much to charge in every given situation. However, you can rely on some guidelines to help you set your prices. One rule of thumb to keep in mind when pricing books is that you should charge at least 8 to 10 times your cost of production. If a book costs you $1.50 to produce, can you price it at least $11.95? Better yet, can you charge $14.95 or more? This assumes that you are producing your books in quantity, and that you are offering discounts to resellers, wholesalers, etc. Your cost per copy may not allow you to charge 8 to 10 times cost if, for example, you are producing perfect bound books in small quantities. Rather than basing your prices on the cost of producing your materials, price according to the value. It is important to remember that you are not selling paper, tape or other materials–you are selling the information contained in your book, report, audio tape, etc. What is the information worth to your customers, and how much will they be willing to pay for it? An item may cost you $15 to produce, yet be worth every penny of $495. What are your competitors charging for similar products? You can charge more if your product has a higher perceived value, but not if your products are seen as the same as something available at a lower price. 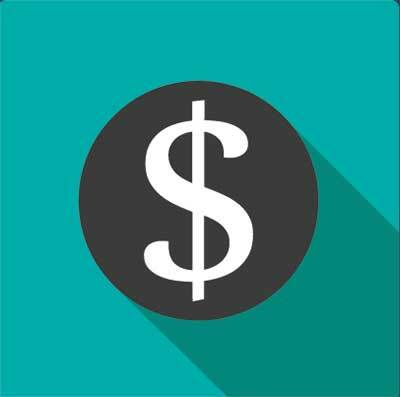 Consider your marketing costs. Will you have to give discounts of 25%, 40%, 55% or more to retailers or distributors? Make sure you can do so and still be profitable. If you plan to sell through direct mail or two-step classified ads, your marketing cost may be $10 – $20 for each book you sell. Obviously, you won’t be profitable selling a book for $11.95 this way. You also have to consider the value of your time in creating and marketing the book, so make sure your pricing leaves room to recover payment for your time. This article looks at what is usually meant by “traditional,” “self,” and “subsidy” publishing and how to know which is right for you. When you have a project, you must determine what manner and method of publishing will work for you and your publication. There is nothing inherently good or bad, right or wrong, about each type of publishing; however, one method will be best for your book. I know several publishers who started with one method, then switched to another for subsequent editions of that first book or for later projects. Different types of publishing don’t fit in to neat little boxes, and a short article can’t begin to cover all of the complexities of publishing. However, we’ll take a look at what is usually meant by “traditional,” “self,” and “subsidy” publishing. 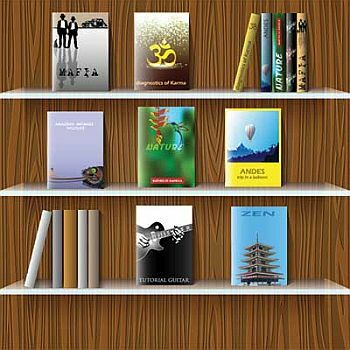 Traditional publishing refers to books put out by established presses, such as the large New York publishers. Authors (or their agents) submit proposals and manuscripts, and the publisher selects the ones to be published. The publisher controls the timing of the book’s release and decides how many copies will be printed. The publisher may have the final say on the design of the book, including cover art, and even on the editing of the book. The author is not responsible for any of the costs of printing and distributing the book. He receives a royalty on each book sold, and may receive an advance against those royalties when the book is accepted by the publisher. Although the publisher may do some marketing of the book, most authors find that they must actively promote their books (often at their own expense) in order to make sales. Self-publishing means that the author takes on responsibility (financial and otherwise) for all aspects of producing the book. Some or all of these tasks may be delegated to others (e.g., an artist may be hired to design the cover); however, ultimate responsibility rests with the author/publisher. This means that the author/publisher must get the book laid out and designed, obtain ISBNs, choose a printer, set up distribution, handle all marketing, etc. The author/publisher retains full control of her book, and also bears the financial risks and rewards of publishing. Subsidy or vanity publishing might be considered a form of self-publishing. You send your manuscript to the publisher, they produce the books, and you pay for them. Although this is sometimes not a good idea if you want to make money with your book, it can be an easy way to get your words in print or to test before making the investment to self-publish. Subsidy publishing has generated lots of fraud and abuse of authors over the years; however, there are now several legitimate companies that do subsidy publishing for a reasonable price. These include iUniverse, Xlibris and 1stBooks. The subsidy publisher is the publisher of record. They set the price, handle distribution, and pay royalties on sales. Authors may receive a small number of books (e.g., one to five) as part of their contract, and may purchase additional copies at a discount from the retail price. These are the basic categories, but there are variations and hybrids among them. For example, book packagers often work with publishers, assembling the writers, illustrators, editors, designers and others needed to produce a book. 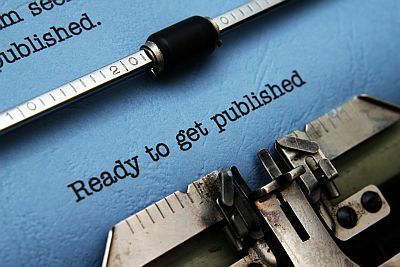 Partnerships and co-publishing arrangements between publishers and authors, where risk and return are shared–not subsidy publishing, but not traditional publishing, either–have also been tried successfully. Earlier, I said that each type of publishing has its place. How do you know which is right for your project? You have to make that call, but here are some tips on when each is appropriate. Traditional Publishing: You’ve written a mass-market book (e.g., mainstream fiction, romance, mystery) and you don’t want to take on the responsibility of self-publishing. You don’t want to invest in publishing your book, and are willing to be paid a percentage of the book’s sales. The publisher will control production and distribution. You will have to take some or all responsibility for promoting and marketing your book, but you won’t have to learn about aspects of the publishing business that may not interest you. Self-Publishing: You want to have all of the responsibility for producing the book and obtaining distribution. Of course, that also means that you keep control of your book and decide what it will look like, how it will be priced, when it will be published, etc. You take all the financial risk of publishing, and that means the potential for greater financial rewards. Subsidy Publishing: You want to get your book published, and you don’t want to shop it to publishers or learn about self-publishing. This is the perfect choice if you simply want to get your book in print to give to friends and family members. It can also be a good way to test the book and see how well it sells. The downside is that reviewers and others may not take your book seriously, because they know that subsidy publishers will publish anything they receive as long as they are paid. There is not a “one size fits all” solution in publishing. The choice you make is up to you. Before committing to any publishing arrangement, make sure you understand what your rights and responsibilities are, and how you stand to benefit. You may have written or published the greatest book ever, but if people don’t know about it, they can’t buy it. Whether you are the author or publisher (or maybe you’re both), it is your job to create excitement about and interest in your book. Use the ideas in this article to create a buzz about your book without breaking your budget. Sorry. It doesn’t work that way. You may have written or published the greatest book ever, but if people don’t know about it, they can’t buy it. Whether you are the author or publisher (or maybe you’re both), it is your job to create excitement about and interest in your book. Use the ideas in this article to create a buzz about your book without breaking your budget. While some of them won’t be right for you, many ideas will be a good fit. The more ideas you use, the better. People often take their time before making a decision to buy, and the more often they hear about your book, the more likely they are to buy it. Keep coming at them in different ways with the message about your book and what it can do for them. Don’t be too quick to discard an idea, thinking that you can’t do it or it won’t work for you. Just because you’ve never done something before, don’t assume that you can’t do it, whether it’s making a speech, doing a TV or radio interview, or staging an outrageous stunt. These ideas are also good brain food: think about them, and see what else you can grow. Can you put a twist on one of them or combine two of them in an interesting way? Pick a few ideas that appeal to you and put them to work right away. Time to see results will vary. Choose a good mix of ideas to start generating book sales and to keep selling for a long time to come! A holiday does not have to be declared by Congress to get attention for your book. If you wrote a book about finding your prince and living happily ever after, why not create “Kiss a Frog”? Get your holiday listed in Chase’s Annual Events (you’ll find it at your library), and the media will call you. Even if it’s not listed in Chase’s, you can still send out press releases announcing the holiday and any related events you schedule. How do I know this works? Take a look in the Chase’s index for Solo-preneuring Week, and note that the contact is . . . yours truly. Excerpt a portion of your book into a booklet. (This article originated as a booklet/handout for a speech I gave.) Give it away as a promotion or sell it. Paulette Ensign has sold more than 500,000 copies of her small booklets about organizing. Not only do the booklets promote her organizing business, they have become a profit center themselves. Colleges, community centers and continuing education programs are always looking for interesting classes. If you were to become an instructor, information about you and your book would be printed in every catalog. Plus, you could offer your book as a required or optional text. I’ve sold hundreds of copies of The Mystery Shopper’s Manual and other titles this way. Are there other publishers with the same audience? If your books are not in direct competition, you might make a deal to promote each other’s books. For example, they might include your flyer or catalog in their mail outs, and you do the same for them. Hold a book signing party. It may be at a bookstore, but why not try someplace different? If your book is about animals, hold it at a pet store or the gift shop at the zoo. For a beauty book, why not try a salon? Invite everyone you know, get the shop owner to help promote it, send press releases, etc., to get lots of people there. And give free speeches all over. Lots of organizations are meeting in your town every day, and most of them need speakers. Check the newspaper for meeting notices, and ask your friends about their groups. Then call and offer your services. You won’t get paid, but they usually feed you and you’ll get to sell books after your talk. Offer the articles to newspapers, magazines and newsletters read by the people who would be interested in your book. You may get paid for the articles, but even if you don’t, make sure information about your book (and how readers can get their own copies) is included. Even easier, excerpt portions of your book and offer them as articles. Are you and your book newsworthy enough to make the nightly news? Sure. I’ve done it lots of times, and so can you. Local news shows run a lot of features about local people and events. Let them know about your book signing, seminar, outrageous stunt, whatever. While there is no guarantee of media coverage, when you get it, it can sell lots of books. Don’t just think bookstores. Where will you find the people who should read your book? Don’t overlook doctors’ or veterinarians’ offices, truck stops, souvenir stands, restaurants and coffee shops, etc. Offer your book as a fundraiser to schools, charities or other organizations. Sell them to the organization in quantity at a discount. Members sell the books at the retail price, and the organization pockets the difference. Does your book have a natural relationship to a product? The manufacturer of that product may buy thousands of your books to give away or sell to their customers. Contact the brand manager to see if they are interested (and be prepared for any decision to take a while). Also approach local merchants to see if they would like to buy premiums. Would the local car dealer give everyone who buys a car a copy of your book on car care? Come up with a good connection, then sell some books! Are there people who could influence others to buy your book? Might doctors recommend your book on stress relief? Would teachers suggest parents read your book on helping children excel at school? Get copies into the hands of those who can reach your audience. Most of us receive hundreds of catalogs with all kinds of things in them. When you find one that seems to fit your book, contact the catalog company and ask about submitting your book. Do radio interviews, locally and across the country. By sending out short press releases, I’ve gotten interviews for my clients and myself on stations all over. A radio show may need three or more guests per day, five days a week, 52 weeks a year. They want to hear from you. News/talk stations run lots of interviews, but don’t overlook the drive time and public affairs shows on music stations. And the best thing about radio is that you can do many of your interviews over the phone from the comfort of your own home. In marketing classes, I teach a technique called The 10-Second Brag. The Brag is a quick way of introducing yourself in a way that is interesting to your audience. If you tell someone that you are a consultant, there reaction may be “So what?” (Although they may not ask that to your face!) Instead, tell them about the problems you solve, and they will be interested. The same applies to your book. No one (other than your mother) cares that you wrote a book. But if your book contains secrets that will help me make my dreams come true, then I care! The secret of the Brag is remembering that people care about the world as it relates to them and their needs. Remember that, and they will care about you and your book. If you wrote a book about organizing closets, give a prize for the messiest closet in town. Have entrants send in photos of their messy closets, and/or write a short essay about how disorganized they are. Do a survey related to your book topic, then announce the results. If you wrote a book about managed health care, survey people for their opinions on managed care and what they like/dislike about it. Put a site on the World Wide Web where people can get more information about you and your book. If they can’t order it online at your site, tell them where they can get it. At your web site, offer links to other sites of interest to your audience. Contact the webmasters of those sites and ask if they would consider offering visitors to their sites a link to yours. Show your expertise by getting involved in discussion groups on your topic. While sending purely commercial messages about your book is generally not acceptable, you can answer questions and offer information and include a sig file with more information about your book and how to get it. Announce that you will give a portion of the proceeds from book sales to a particular charity or advocacy group. Then, let interested groups know about it so they can help publicize your book. Package your book with other items to make it more attractive as a gift or easier to use. If your book is about a craft, could you package it with craft materials? Bundle a cookbook with utensils, spices, etc. Many speakers make money selling books in the “back of the room” (BOR). Speakers who don’t have books of their own, or who wish to expand their product lines, may be interested in selling your books. Structure a discount schedule which allows both of you to make money. Business cards are cheap. Get one made up especially for your book, then put it around wherever you can leave business cards. I had some made up for The Mystery Shopper’s Manual. When I return a library book, I stick one in the book as a bookmark. Know what? I’ve gotten calls as a result! Make up a simple flyer about your book, and get it copied onto colored paper. The flyer may be one side of one page, or just a portion of a page. Put it out when you speak, leave it on literature tables at meetings and conferences, etc. Whatever you do, send press releases to make television, radio, newspapers, magazines, etc. aware of you. Make it newsworthy. They don’t care that you wrote a book, but they will care that you can give their audiences information they want or need. Don’t be afraid to try something new or unusual, even odd. Ask yourself, “Will this attract/appeal to the people I want to reach?” and “What will it cost me in time and money to try it?” If the first answer is “yes,” and the second is “not more than I can afford,” then go for it! Think about what you can do beyond these ideas. Do you want to be on Oprah? Would a celebrity be willing to endorse your book? 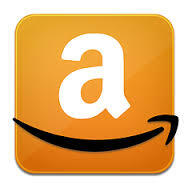 Would your book be perfect for a home shopping network? Or an infomercial? Could you develop a whole line of products related to your book? Sometimes it is easier to sell several related books/tapes/etc. than just one title. What is your wildest dream of success? Imagine it, and then take steps to make it come true. Don’t be afraid to think big and aim for the stars! That’s what they’re there for. As the Idea Lady, Cathy Stucker can help you attract customers and make yourself famous. Get free tips in her newsletter. Sign up at http://www.IdeaLady.com/.